Stade Le Canonnier is the home ground of occasional Belgian Pro League team Royal Mouscron-Péruwelz. 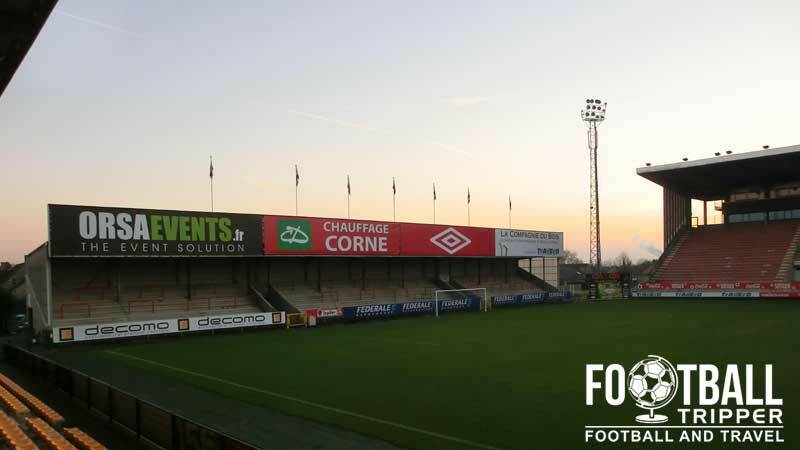 Located in the town of Mouscron which is in the western province of Hainaut, the stadium dates back to the 1930s with a current capacity of 11,300. It last underwent significant renovations in 1999. The stadium dates back to 1930 when it first opened as Stade Mouscronnois with fans and generous patrons chipping in to construct the ground’s first grandstand two years later. To mark this occasion the club hosted a friendly match against Cercle Brugge KSV on the 21st August 1932 which at the time was considered a very glamorous fixture. Changes to La Canonnier stadium occurred throughout the 20th century as new legislation mandated such as the standardisation of floodlights in 1973 with the main renovations occurring during the 1990s. Firstly, in 1991 a new East Stand was built which was marked by a friendly against Standard Liege, then in 1996 when the club were promoted to the Belgian Pro League the North Stand was rebuilt. 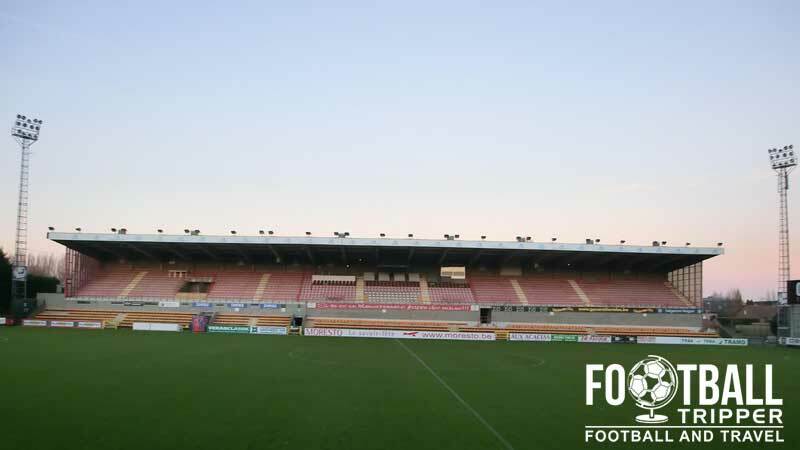 After an unexpectedly successful season in the Pro League, Royal Mouscron found themselves in the UEFA Cup were they hosted French side FC Metz. The financial windfall this brief appearance in this competition brought allowed the club to construct a brand new south stand to house the REM Fanatics, and later replace their 60 year old main stand with state of the art facilities in 1999. The next decade was not so kind to the club with the original iteration known as Royal Excelsior Mouscron folding on the 28th December 2009 after becoming insolvent. 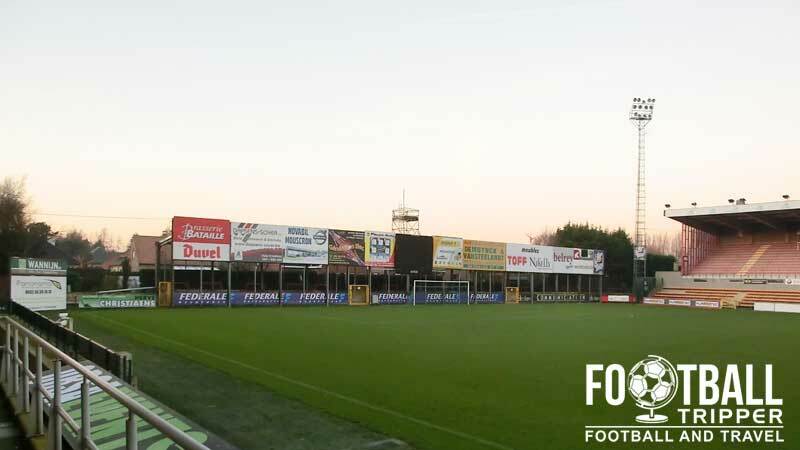 In March 2010 the management agreed a proposal to merge with neighbours RRC Péruwelz with the new club to be known as Royal Mouscron-Péruwelz. For now home matches continue to be played at Stade Le Cannonier but there is talk of relocating to a new purpose built ground at the club’s Futurosport training ground. Stade Le Canonnier is comprised of four stands: North, East, South and West. Away fans are housed within the northernmost point of Le Canonnier inside Tribune 2 and the adjacent section within tribune 3. This essentially gives the visiting supporters a choice of whether or not they wish to watch the game where fans are more likely to stand or sit down in the comfortable stand. 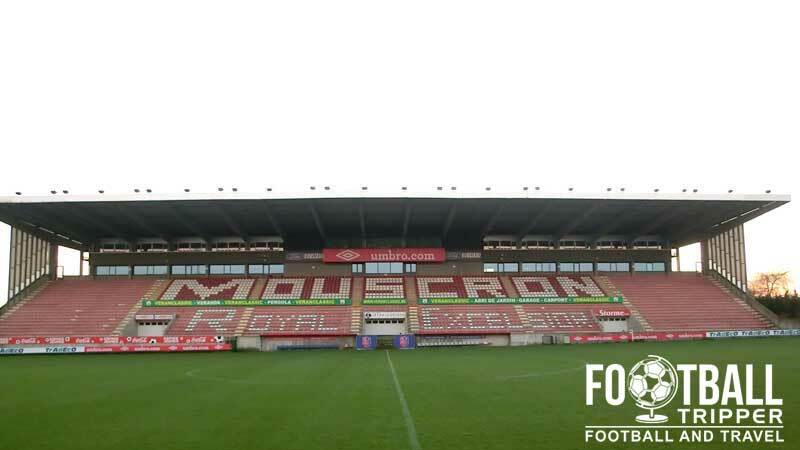 Royal Mouscron operate a fan shop at Stade Le Canonnier during the week, and are expected to open an online store in the near future. The club shop is of course open on matchdays for a few hours before kick-off, at half time and for at least half an hour so after the full time whistle. 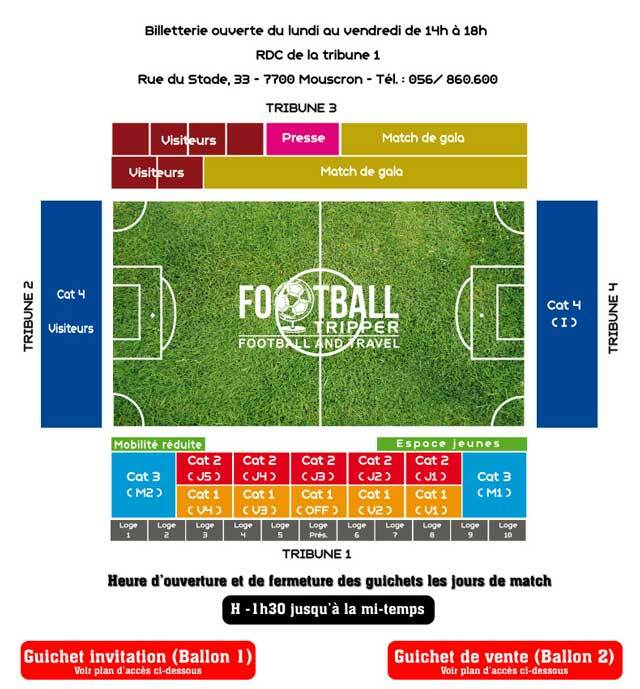 It doesn’t appear as if tours are currently available of the facilities at Le Canonnier stadium. Tickets to see RMP play at home can either be purchased online from the official website or obtained from the stadium’s ticket office/club shop either in the days leading up to the match or from 90 minutes before kick-off. Please note that the aforementioned categories and prices correspond to the seating plan back up the page and not the profile of the match itself! Le Canonnier is embedded within a residential area some 2.1 km south-west of Mouscron city centre. The location is eminently walkable for most Football Trippers and will likely take no more than 25 minutes. There are two medium sized car parks behind both grandstands north and south of the stadium, as well as two smaller car parks adjacent to these. Parking C, the largest car park just off of Clos des Saules is generally the one which operates on a first-come first-served basis on matchdays. Mouscron railway station is less than 1.6 km from Canonnier stadium with Rue du Stade connected directly via the N513 stretch of road. Mouscron station is boring to look at so have a picture of the grand old town hall instead. The closest major airport to the city of Mouscron is the one in Lille, France, which is 40km away. Within Mouscron itself there isn’t really any choice when it comes to accommodation options with the Best Western Plus and Hotel de la Gare forming the two main options. The nearby city of Tourcoing in France is larger and subsequently has a better range of hotels including the Ibis, Comfort, and the B&B Hotel.